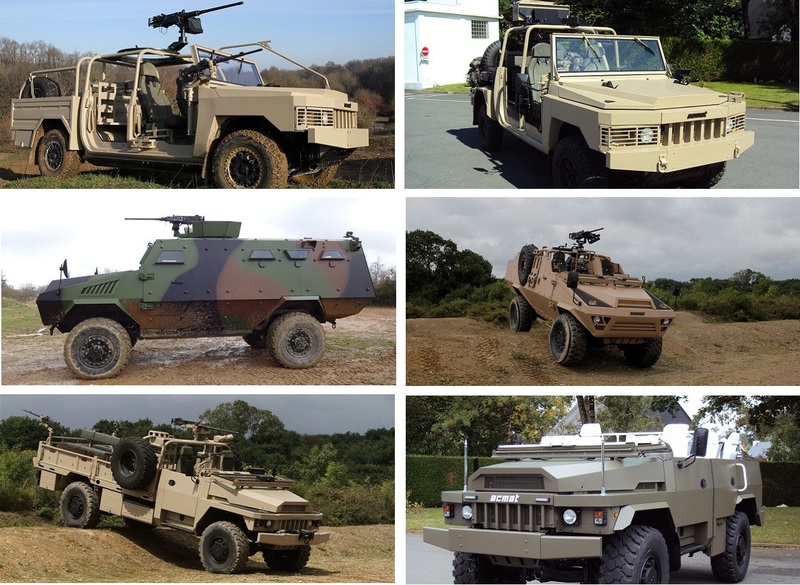 ACMAT (Ateliers de Construction Mécanique de L'Atlantique, also known as ALM-ACMAT), is a French producer of cross-country and tactical military vehicles since 1958. Since May 2006, ACMAT is a wholly owned subsidiary of Renault Trucks. Known for their reliability, simplicity, ruggedness and their 80% (over 3,500) commonality of parts across the entire product line, these vehicles were originally targeted at African and Asian countries who could not afford more expensive vehicles. The ACMAT company built their vehicles based on standardisation, commonality of parts and components, and on interchangeability; parts are interchangeable with vehicles built 30 years ago. Parts commonality includes cabs, structural components, engines and drive trains. ACMAT uses many of the same parts for all of its line of vehicles. They also produce an armoured variant of both the 4x4 and 6x6 versions of the VLRA. The current production includes: ALTV (Acmat Light Tactical Vehicle) - Light 4x4 vehicle; VLRA (Liaison, Reconnaissance and Support Vehicle) - 4x4 and 6x6 vehicles; BASTION (Armored Vehicle).